Finding and arranging the best mortgage for your dream home purchase can be a confusing and daunting experience. With so many mortgage offers to choose from, you will want to be sure that you are getting the best loan and rate for your particular circumstances. The best defense against feeling overwhelmed is to become informed, and with the help of this new book the process will be easy. You will learn how to find the best opportunities, how to negotiate, how to get the type of mortgage loan you need; how to calculate how much you can afford, understand the true cost of a mortgage and your capacity to repay, how to pre-qualify, understand the lending process, and analyze various mortgage products. 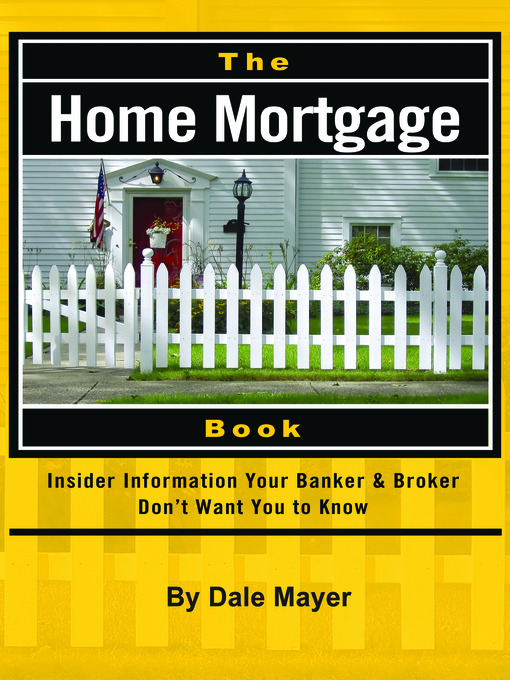 With this book, you will understand financing, budgets, needs and wants, credit reports, home-buying timeline, the process of building a house, manufactured homes, negotiating with lenders, using the Internet to get the best rates, credit reports, home-buying timeline, construction loans, manufactured homes, real estate and mortgage glossaries, setting values, home warranties, homeowners insurance, creative financing, buying with little or no money down, closing and settlement inspections, legal contracts, mortgage agreements. You will know what you can afford, which government agencies can help, considerations for veterans, calculating monthly payments, and escrow. This comprehensive resource contains a wealth of modern tips and strategies for financing and closing on your house. Dale Mayer shows you how to find out how much houses are really worth, how to uncover unknown assets, and how to enhance credit ratings within six months. It provides information and suggestions on everything from no-down-payment mortgages to finding the right mortgage agent. Though you may be relatively cash-poor or have a less-than-perfect credit rating, now you can find the house you have always wanted and acquire a favorable mortgage.